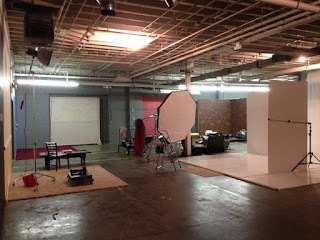 On Saturday, 11-10-12, I was getting ready for my photo shoot with Sena Ehrhardt of the Sena Ehrhardt Band at my studio. I decided to take a few shots of the main shooting area with my new iPhone 5. There is another 400 sq. ft. entry room, large equipment room and dressing/changing/make-up room that I didn't photograph. 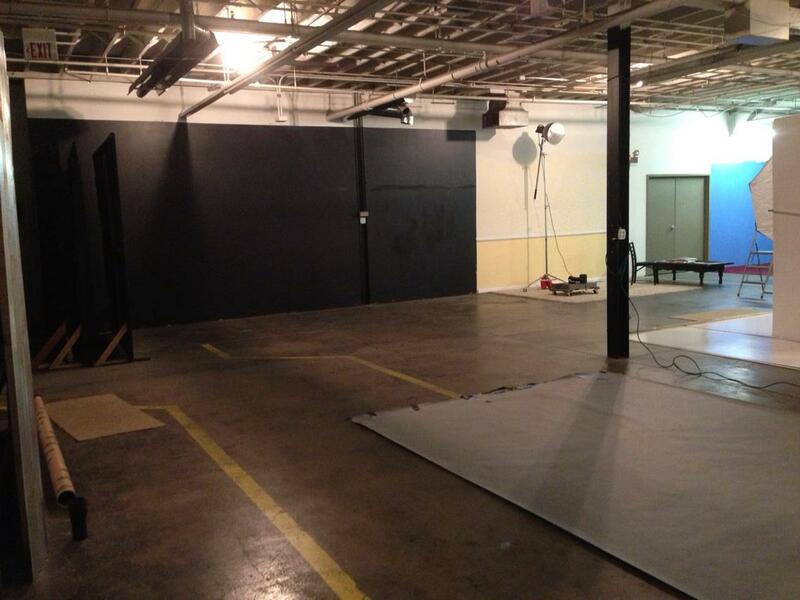 The studio is 4,000 square feet with several different colored walls that can be used as a background. 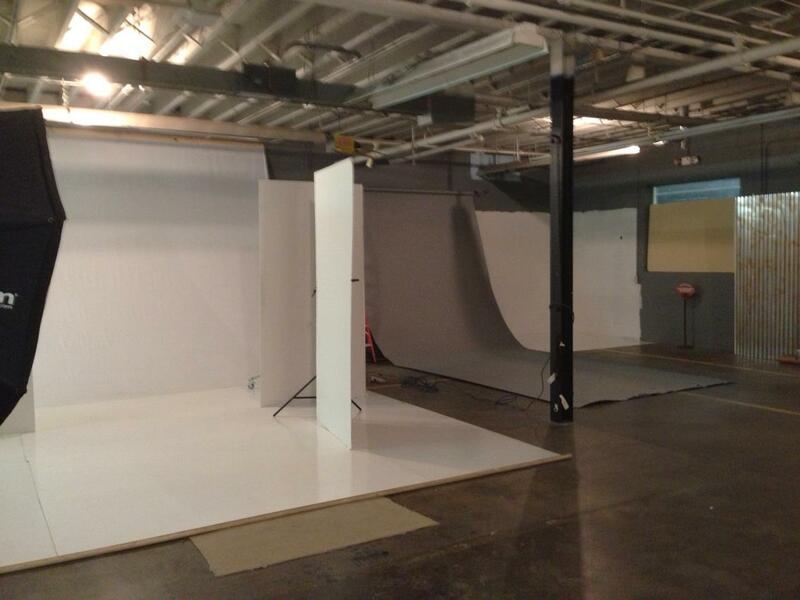 There is a 16' wide vinyl that's always up that's used for a white or gray background. 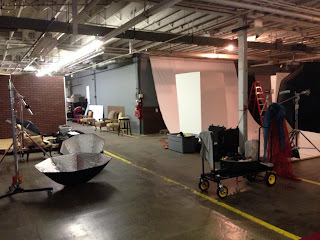 I did put some gray seamless paper down in case I wanted to shoot against it. My studio equipment is mostly Elinchrom equipment which includes the lights and many different modifiers. 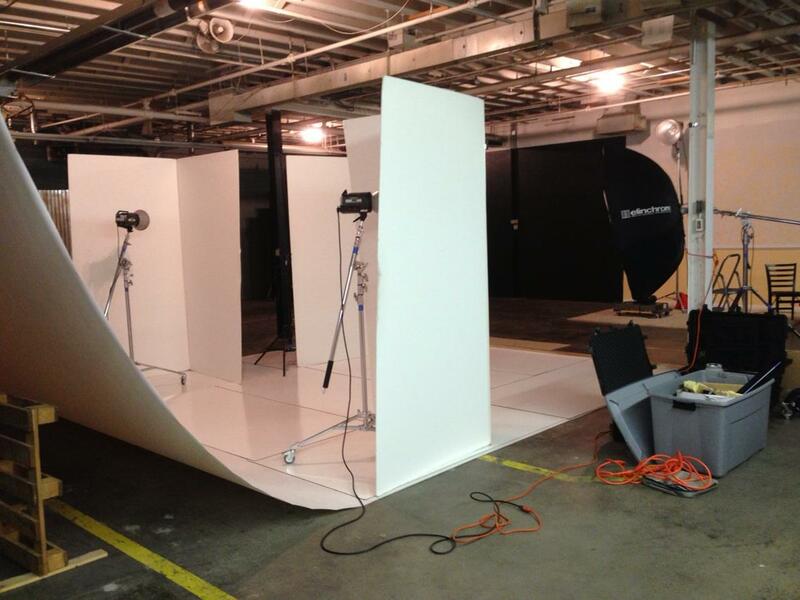 The lights shown in these images are four Elinchrom RX Style600 monolights. The modifiers that can be seen are the Elinchrom 1.90 meter Octa, 53" Octa, 39" Deep Octa, 16" maxilite reflector and two 14" x 35" softboxes. One of the softboxes has a "Lighttools" egg crate on the front. Not seen are the 27" beauty dish or as Elinchrom calls them...maxisoft. Also, 27" x 27" softbox and other assortment of reflectors with grids. My light stands are either Avenger or Manfrotto. I shoot with a Nikon D4 with all Nikkor lenses. My "go to" lens in the studio...I guess my overall "go to" lens is the 70-200 mm F/2.8. I also photograph lots of "Live" music...mostly "Blues ".